It’s the beginning of the prestigious Indian Premier League. The action will start with the Southern derby as the defending champions Chennai Super Kings take on Royal Challengers Bangalore at the MA Chidambaram Stadium, Chennai on March 23. 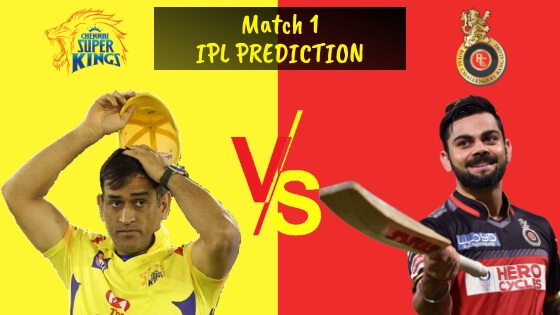 Keep reading to find out the IPL 2019 CSK vs RCB Match 1 Prediction. It just doesn’t get better for the start of the league. Two of the most popular franchises will kick start the season. More importantly, it will be MS Dhoni versus Virat Kohli to set the stage on fire. The rivalry between the two teams has been one of the most fascinating ones. Their games have a history of going right down to the wire. CSK was denied of playing at the Chepauk last year. The Dhoni-led side played just one game in Chennai and had to stage their remaining home games in Pune. It’s like another homecoming for the Men in Yellow after they made a comeback to the league from the 2-year suspension. The hosts would be itching to make a mark at the home ground and make the fans proud again. IPL 2019 CSK vs RCB Match 1 Prediction: CSK always has had the edge over RCB as the head to head record suggests. The defending champions more often than not get off to a winning start in the league. Once again, the Men in Yellow will go in as the favorites. Will AB de Villiers regain full fitness for the IPL?